SHAWNEE COUNTY — Law enforcement authorities are investigating a suspect for alleged aggravated assault. Just before midnight Friday, officers were sent to the 1200 block of NW Van Buren in Topeka for a domestic disturbance, according to Lt. Ron Eakis. As officers were arriving on scene, they heard yelling and what sounded like rapid fire gunshots. Officers located Jaime Fernandez, 19, who is suspected of firing a gun and took him into custody. No one was injured during this incident. 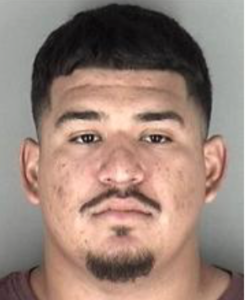 He was booked into the Shawnee County Department of Corrections for aggravated assault on law enforcement officers, aggravated assault (domestic violence), and criminal discharge of a firearm.